Hemp is an ancient and special medicinal plant. 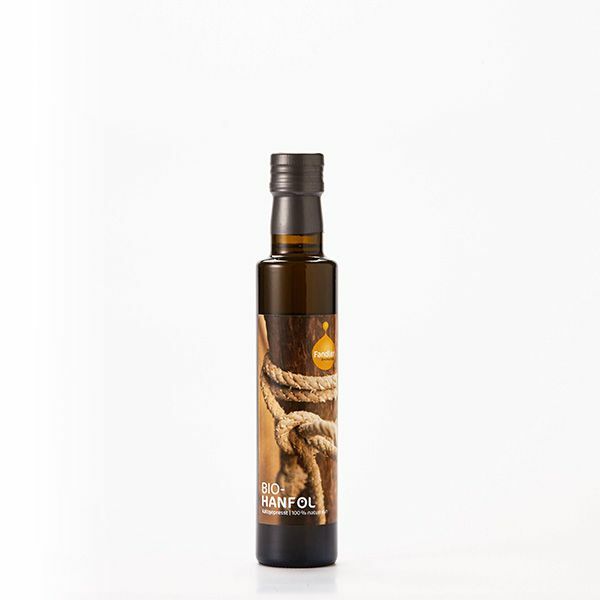 Fortunately, its medicinal components are also found in the oil including numerous vitamins and omega-3 and omega-6 fatty acids in an optimal ratio. Organic hemp oil is ideal for refining salads, raw vegetables, and soups enhancing foods with its fresh grassy scent and nutty-tartness. The oil also ideal for skin care without side effects, thanks to the minimal amount of gamma-linolenic acid (2.8%). Hemp oil does not contain THC.